PM me for investment options. 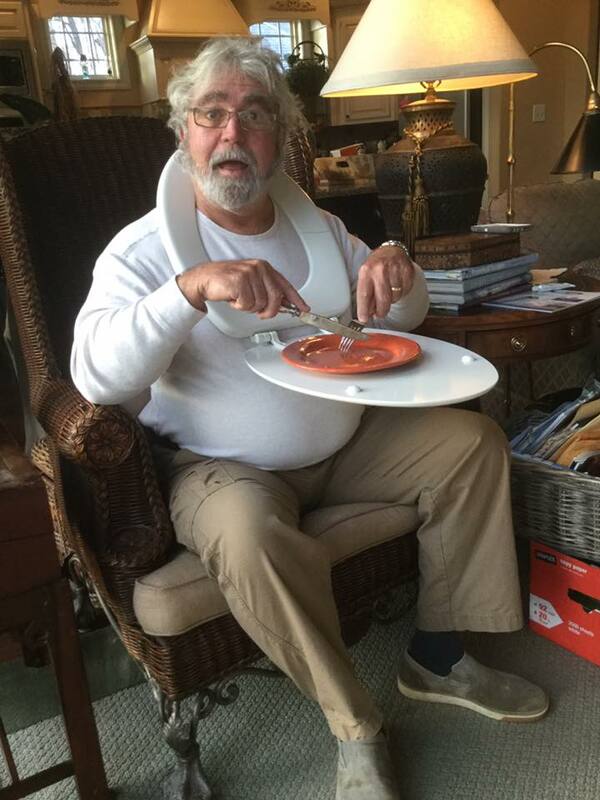 Remember it is not a toilet seat until it has been installed onto a toilet, until then it is a food try. And there I was thinking it was the medal Napoleon awarded you for failing to secure his lost hat yesterday. The new President is clearly inspiring our transatlantic cousins to new heights of innovation and enterprise....America will indeed be great again! Fear not, your Royal Rufusness. An elite SWAT team has already been dispatched from Little Gaddesden. @ Digby there is no emoticon that could properly relay how funny that was. To my assassins and patent thieves. You will never find me and the guy who posed for this is not I. (true story) Furthermore I have the protection and sworn allegiance of the Morazanites, mess with them and you will sleep with the coyotes.